In this unit we will focus on how species interacts with its abiotic and biotic environments, and its niche is described by these interactions. This unit will take a minimum of 4.5 hours. A species interacts with its abiotic and biotic environments; its niche is described by these interactions. 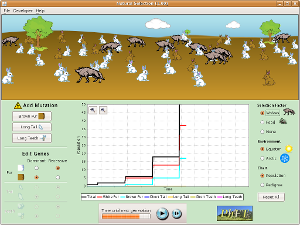 Populations change and respond to interactions with the environment. What strengths and weaknesses of he systems approach and the use of models have been revealed through this topic? 2.1 U1 A species is a group of organisms that share common characteristics and that interbreed to produce fertile offspring. That definition of a species might seem cut and dried, but it is not — in nature, there are lots of places where it is difficult to apply this definition. For example, many bacteria reproduce mainly asexually. The bacterium shown at right is reproducing asexually, by binary fission. The definition of a species as a group of interbreeding individuals cannot be easily applied to organisms that reproduce only or mainly asexually. A species is often defined as a group of individuals that actually or potentially interbreed in nature. In this sense, a species is the biggest gene pool possible under natural conditions. 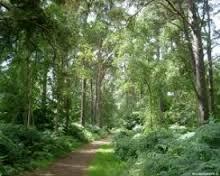 2.1.U2 A habitat is the environment in which a species normally lives. A habitat is an ecological or environmental area that is inhabited by human, a particular species of animal, plant, or other type of organism. A place where a living thing lives is its habitat. It is a place where it can find food, shelter, protection and mates for reproduction. It is the natural environment in which an organism lives, or the physical environment that surrounds a species population. ​Be aware that for some organisms, habitats can change over time as a result of migration. A niche describes the particular set of abiotic and biotic conditions and resources to which an organism or population responds. Describes how an organism or population responds to the distribution of resources and competitors (for example, by growing when resources are abundant, and when predators, parasites and pathogens are scarce) and how it in turn alters those same factors (for example, limiting access to resources by other organisms, acting as a food source for predators and a consumer of prey). 2.1.U4 The fundamental niche describes the full range of conditions and resources in which a species could survive and reproduce. 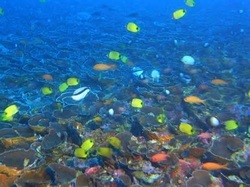 The realized niche describes the actual conditions and resources in which a species exists due to biotic interactions. 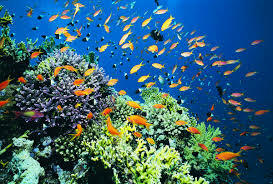 Every organism is adapted to environmental conditions in its habitat. However, it sometimes faces competition with other species that limits the conditions under which it can exist. Explore how competition between species can shape an organism's niche. 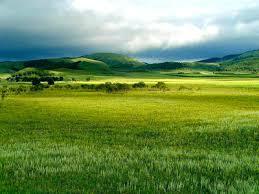 The role that an organism plays in nature is called ecological niche. For an animal, that niche includes things like its behavior, the food it eats, and whether it is active at night or in the day.. Every organism, whether an apex predator like the lion or a bacterium living in a hippo's intestinal tract, is likely to face competition from other species.. This direct form of competition for an ecological niche is called interspecific competition.. This ideal niche that would exist in the absence of competition from other species is called a species' fundamental niche. However, organisms like the lion are generally forced to play a more limited role thanks to competition. The actual niche that a species fills in the face of interspecific competition is called its realized niche. Biotic: All the plants, animals, algae, fungi and microbes in an ecosystem. 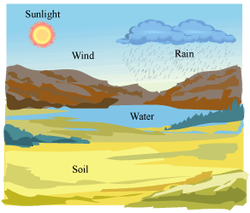 Abiotic factors vary in the environment and determining the types and numbers of organisms that exist in that environment. 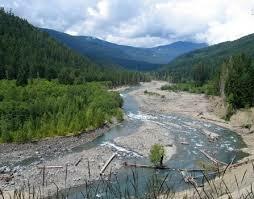 Factors which determine the types and numbers of organisms of a species in an ecosystem are called limiting factors. Many limiting factors restrict the growth of populations in nature. An example of this would include low annual average temperature average common to the Arctic restricts the growth of trees, as the subsoil is permanently frozen. 2.1.U6 The interactions between the organisms - such as predation, herbivory, parasitism, mutualism, disease and competition - are termed biotic factors. 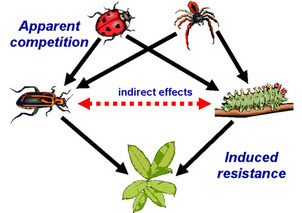 Competition between members of the same species is Intraspecific competition. Individuals of the different species, competing for the same resources is called Interspecific competition.The other outcome is that one species may totally out compete the other, this is the principle of Competitive exclusion. ​The word symbiosis literally means 'living together,' but when we use the word symbiosis in biology, what we're really talking about is a close, long-term interaction between two different species. There are many different types of symbiotic relationships that occur in nature. predation - one species feeds on another which enhances fitness of predator but reduces fitness of prey. Herbivory is a form of predation. herbivory - the act of eating plants and a herbivore is an animal that eats plants. Herbivores play an important role in the ecology of any area, influencing plant communities and individual plant growth. A form of predation. parasitism - The host provides a habitat and food for the bacteria, but in return, the bacteria cause disease in the host. This is an example of parasitism or an association between two different species where the symbiont benefits and the host is harmed. Not all parasites have to cause disease. mutualism - A type of symbiotic relationship in which both species benefit from the relationship. disease - a particular abnormal condition, a disorder of a structure or function, that affects part or all of an organism. includes organisms such as viruses, bacteria, fungi and parasites that cause disease. commensalism – one species receives a benefit from another species which enhances fitness of one species; no effect on fitness of the other species. symbiosis - wo species live together which can include parasitism, mutualism, and commensalism.​. 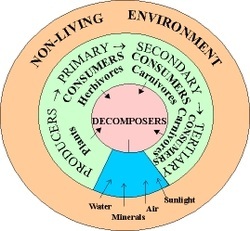 2.1.U7 Interactions should be understood in terms of the influences each species has on the population dynamics of others, and upon the carrying capacity of the others environment. A population is a collection of individual organisms of the same species that occupy some specific area. The term "population dynamics" refers to how the number of individuals in a population changes over time. Biologists study the interations that affect population dynamics. Understanding populations dynamics helps biologists understand the conservation of endangered species and management of fish and wildlife. Basic knowledge about the processes that affect population dynamics can be used to predict future patterns of human population growth. The abundance of environmental resources such as food, water, and space determines how population abundance changes over time. In the presence of unlimited resources, populations grow exponentially. 2.1.U8 A population is a group of organisms of the same species living in the same area at the same time, and which are capable of interbreeding. A population is a group of organisms of the same species living in the same area at the same time and capable of interbreeding. These species share a requirement for a limited resource which reduces fitness of one or both species. 2.1.U9 S and J population curves describe a generalized response of populations to a particular set of conditions (abiotic and biotic factors). In an environment where resources become limited, populations exhibit a pattern of growth called logistic growth. In this case, if one plots the number of individuals in the population over time, one finds a sigmoidal, or S-shaped curve. When population abundance is low, the population grows exponentially. However, as population size increases, resources become limited, the population growth rate slows, and the population abundance curve flattens. The number of individuals present in the population when the growth rate slows to zero is referred to as K, the carrying capacity. The carrying capacity is the theoretical maximum number of individuals that the environment can support. A "J" curve hits its carrying capacity and just continues causing a population explosion and competition for resources. Carrying capacity is the maximum number of organisms that an area or ecosystem can sustainably support over a long period of time.vThere are however limiting factors including temperatures, water and nutrient availability. The main factors are temperature and water availability. Limiting factors are factors that limit the distribution or numbers of a particular population. Limiting factors are environmental factors which slow down population growth. Through the use of specialized vocabulary, is the shaping of knowledge more dramatic in some areas of knowledge compared to others? ​Remarkable story of how the reintroduction of wolves to the Yellowstone National Park changed the ecology and habitat of the Park. There are many man-managed (or mismanaged) wildlife areas in the world missing predators. Symbiosis is close and often long-term interaction between different biological species. The definition of symbiosis is controversial among scientists. Some believe symbiosis should only refer to persistent mutualisms, while others believe it should apply to all types of persistent biological interactions (i.e. mutualistic, commensalistic, or parasitic).